Dr. Arifi Saiman, Director Foreign Analysis and Development of Indo-Pacific Region and Africa, Indonesian Ministry of Foreign Affairs gave a talk on ‘Indonesia’s Foreign Policy and Geopolitical Shift in Indo-Pacific’ at the SPIR on July 10, 2018. Dr. Arifi gave a deep account of the Foreign Policy of Indonesia and quoted from the Indonesian Constitution the dire need for a free and sovereign foreign policy formulation. He stated that the principles on which the Indonesian foreign policy is based on are freedom, activeness and peace as well as security. He gave the idea of economy and trade relations being the core foundation of Indonesian foreign policy. The relations Indonesia maintains with various states are divided into groups with Russia, Turkey and US being its major economic partners while it holds special relations with ASEAN states and ASEAN plus 3; China, South Korea and Japan. Apart from economic diplomacy, Indonesian foreign ministry has other priorities as well which were enumerated as; sovereignty–which includes maritime security, border diplomacy and the maintenance of territorial integrity, protection of Indonesian Citizens and Legal Entities and Active Participation in various Multilateral Forums. There was also given the idea of Indonesia’s Maritime Fulcrum which includes the idea of rebuilding the maritime culture of Indonesia, management of sea-based food resources, building maritime defence and development of maritime infrastructure. The talk also featured the idea of Indonesia being proactive in various regional and global corporations and organizations like ASEAN, Asia-Pacific Economic Cooperation (APEC), East Asia Summit, G20, OIC and MINT (Mexico-Indonesia-Nigeria-Turkey) among others. This showed the full incorporation of diplomacy and soft power with liberalization in the Indonesian foreign policy. 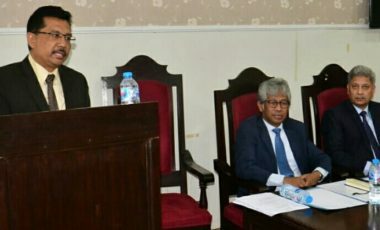 Dr Arifi Saiman also stated that Indonesia’s policy agenda supports the state preserving an active humanitarian effort for states like Palestine, Rakhine State and Afghanistan. Lastly he said that currently there are five perceptions of Indo-Pacific regions; US’s Concept, Indonesia’s Concept, India’s Concept, Japan’s Concept and Australia’s Concept and stated that in due time Pakistan should also formulate a concept because of its increasing strategic relevance due to OBOR. The Ambassador of Indonesia, Iwan Suyudie Amri, briefed the audience about overall foreign policy agendas of Indonesia and the state of relations between the two states. He gave a thorough insight regarding the use of Realism, Liberalism and Constructivism; the three main practicing theories in the formation of Indonesian foreign policy. 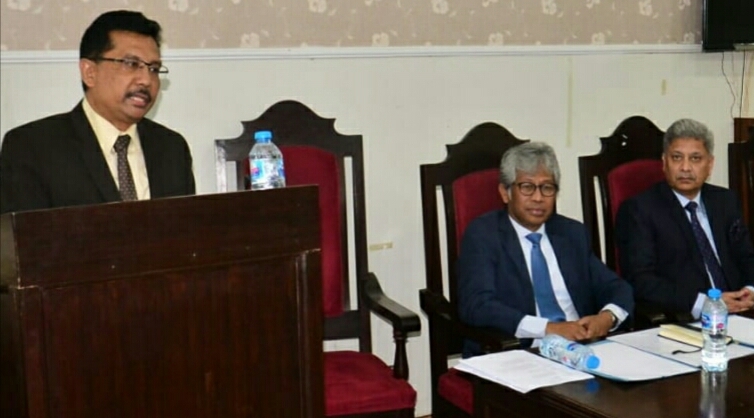 Director SPIR, Dr. Nazir Hussain stated that it is high time that Indo-Pacific and East Asian states are given relevance within the discourse of Pakistani policy makers as well as academia. He thanked the guests from Indonesia for taking this initiative and hoped to continue the pace of this newly developed interest generated.